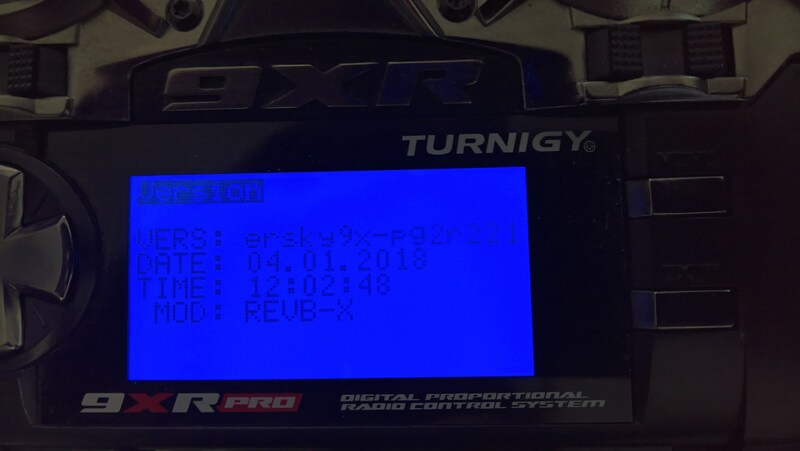 I tried to use Turnigy 9XR Pro with latest available R221g1 to update firmware on FrSky R-XSR receiver, following the steps from the PDF on this forum. Because of the 12V Vbat on the module pin, I used external power with GND and Vin connected (Vin was with the switch in-between, as per instructions). GND was also connected to the module pin. The S.Port was connected to the bottom module pin as well. After seeing searching for device during procedure, I turned on the switch to power on the receiver and the firmware update started but stopped immediately on 0087 of XXXX. I left it for couple of minutes but it didn't move at all so I aborted the procedure. The RX was "broken" at this point. After powering it on, only the green LED was lit. I tried to repeat the procedure couple of times but with same results - stop on 0087 and nothing further. For some reason, after one failed update the RX started to have different LED pattern after powering it on -> brief green LED flash followed with couple of seconds of blue LED over and over again, like it was rebooting itself all the time. Today I used friends Taranis 9XD to update that same receiver, similar connections without external power because the Taranis had 7V battery. The firmware update was executed without any issues and the receiver is thankfully in working state now. Is there any known problem updating the R-XSR in 9XR radio? No known problems, it has been working for me. Hey Mike, thanks for the reply. You tested with R-XSR receiver? 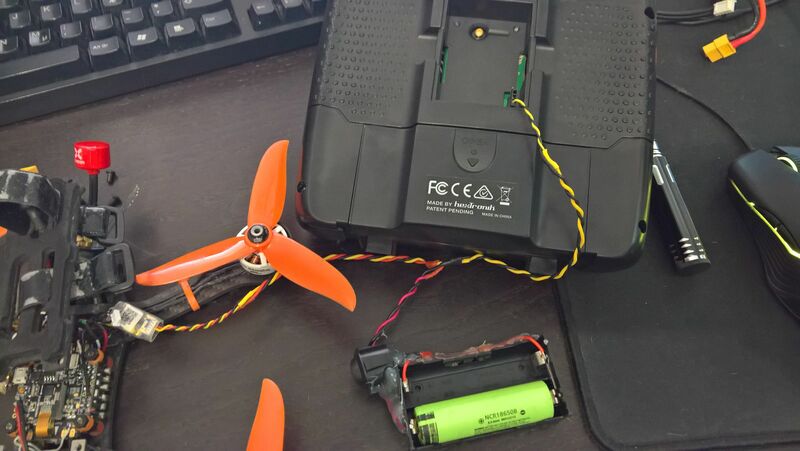 Since Taranis had no problems at all doing the upgrade, the wiring was same/similar (without external power), I could only assume it was 9RX Pro that was causing issue. No, I don't have a R-XSR receiver, but it updates like any other SPort device, and I have been updating other devices using the 'PRO. An odd problem you have seen, since I wrote the update firmware originally, and it was ported to openTx later. Could be a problem reading the firmware file from the SD card, I guess you use a different SD card in the Taranis! Interesting thought about SD card. In 9RX Pro I use the SD card that came with the TX. On the PC I have no issue reading (copying) the file though. I can always try and reflash the same firmware again, using different SD card to test the hypothesis, I suppose the RX wouldn't mind. Hi, I also had the exact same problem. Update got to 0087 of 4000 and freeze. I kept trying different firmware for the r-xsr and every one would stop in the exact place. Eventually after the 10th attempt the receiver no longer powers on. I have the original sd card that came with the 9xr pro and followed the instructions carefully. Did you try with another sd card? I have bought another r-xsr but don't want to risk breaking this one and I have no access to a Taranis. Has anyone gotten the the update function working with 9XR pro? I have tried to update various S.Port devices and it never works. Always gets stuck at 0087. I built new adapter cable too. 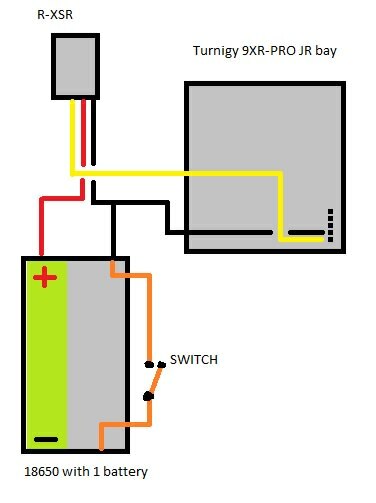 I am using fully charged 18650 to power the receiver and toggle the power with a switch to initiate the flashing process once the radio starts looking for the device.